This blanket is knitted with technique new to me, two strands simultaneously. 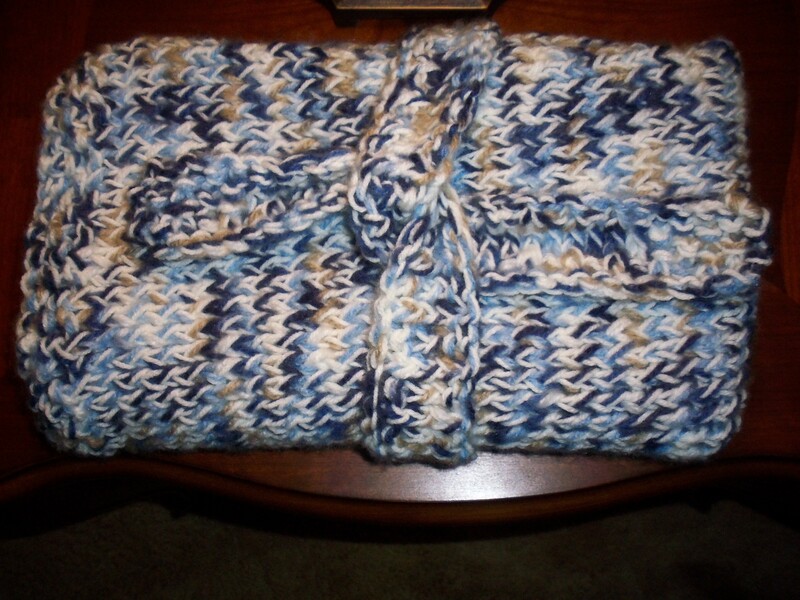 Yes, the tie for this blanket is the result of my first attempt knitting the blanket. My salvaged “do over” is just the right dimension to make a tie. I love knitting with two different strands. I’ve made several purses with this technique. It really changes the color and dimension of the yarn verses a single thread. Also, it’s helpful when you want a thicker feel without having to use a heavier yarn.